Behind the slim, compact frame of your Android Wear smartwatch sits a wealth of functionality, mostly provided by the Google search and the Google Assistant now available with Android Wear 2.0. Voice control is the best way of unlocking the potential of your shiny timepiece: everything from appointments and holidays to emails and fitness can be accessed from your wrist without having to tap away on a tiny screen. Read on for our round up of the best voice commands for your Android Wear smartwatch. Also, note that these instructions apply to watches with Android Wear 2.0 and Google Assistant installed; if you're running Android Wear 1.x, jump down to the bottom. Google Assistant is the new AI-powered helper app that Google is embedding in its phones, its smart home speakers, and just about everywhere else it can. You can launch it on an Android Wear 2.0 smartwatch with a long-press of the power button, and while its capabilities are slightly limited on watches (it can't play games with you like it can on a phone, for instance), it's still a powerful app to have hanging around. At the moment the commands you can try with Google Assistant aren't all that different to the ones that have always worked with Google Now, but Assistant is the future. Google is planning to evolve it into a much smarter bot that talks naturally and knows just about everything about you. For now, especially on smartwatches, think of Google Assistant as just a window into Google: anything you might want to type into a search engine works here, and works especially well when the answer is going to be a simple one. Say "show me restaurants nearby" to see some local recommendations or "what time is it in New York?" if you're making a call there and don't want to wake anyone up. From the ages of celebrities to the heights of famous landmarks, Google Assistant has you covered. Beyond commands that you could input into any web search box, you can use the Assistant as a quick way of accessing apps. If you say "show me directions to [a place nearby]," Google Assistant maps out the route and you can launch navigation mode with another tap on the screen. Likewise use the voice commands "send a message to..." or "send an email to..." as a quick way of launching your messaging apps and calling up the relevant contact info - by dictating out the message as well you don't even have to touch the screen. You can call people too from Google Assistant. As you would expect, the app integrates smartly with other Google services, so you can ask "what's on my schedule?" to see the next few entries from your Google Calendar. Some features that have been around for a while - like the option to track flights and packages based on information in Gmail - haven't been added to Google Assistant yet, but it's only a matter of time. There's also not much in the way of watch control, so you can't (for example) turn Wi-Fi on and off, or launch the Settings app, or change the watch face from Google Assistant. We'd expect to see these sort of commands supported in the near future, but in the meantime you'll have to carry on using the screen. Google Assistant works well in other assistant-y stuff, like setting reminders: try saying "set a reminder to buy milk" or "set a timer for five minutes". You can also say something like "set an alarm for 8am" to make sure you wake up in time the next morning (although Google Assistant is easier to snooze than a real-life human assistant). Google Fit integration is also up and running. Say "track my run" to launch your smartwatch's tracking capabilities, or "what's my step count?" or "what's my heart rate?" to get some of your key stats up on screen. Unfortunately there's not yet any solid integration with third-party apps such as Strava. Google Assistant can get the tunes started as well. A simple "play music" command launches a random recommended mix in Google Play Music on your phone (or on your watch, if you've got it installed on your wrist). Saying "play..." and then an artist works too, if you can say the artist name clearly enough. Again though, you can't use this with other apps like Spotify yet. Don't forget Google's vast search engine covers definitions and translations too, so you can say to the Assistant "define individualism" or "say beer in Spanish" and get an answer back on screen (handy for those quick trips abroad). As we mentioned above, if it works on Google search on the web, it'll probably work in Google Assistant too. 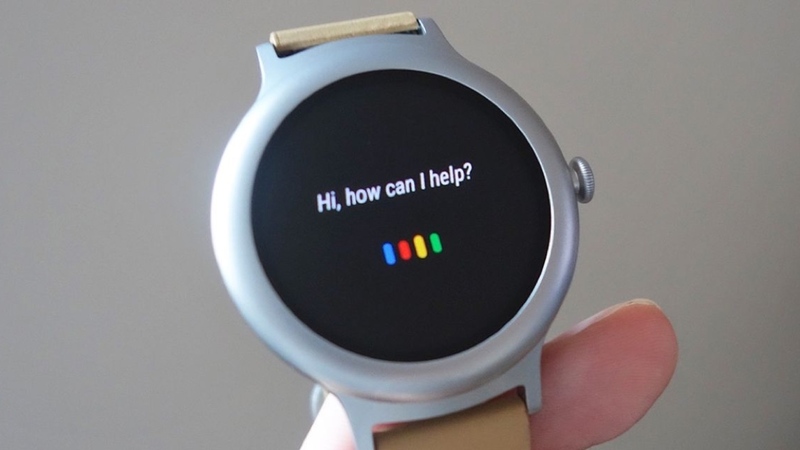 If you're on older software, don't panic: the voice commands for Android Wear 1.x are very similar, you just have to tap the watch face and say "OK Google" to get started. A lot of the commands we've mentioned above should still work with Google Now and Android Wear 1.x, but future innovations - like more conversational commands - will probably only apply to Google Assistant. Beyond commands that you could input into any web search box, you can use the Assistant as a quick way of accessing apps. Same as in smart watch you can use it as multitasking gadget with GPS enabled technology, WI-FI, Calls alerts, Notification etc.